Spey casting for Rogue River summer and winter steelhead. 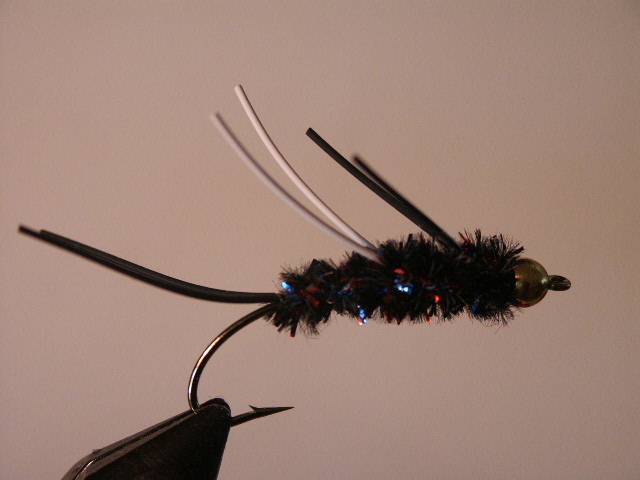 The Carpetbagger Stonefly Nymph tied with the New Age Midnight Fire Chenille. Size 4, natural bend hook, $1.95, tied by the Original. 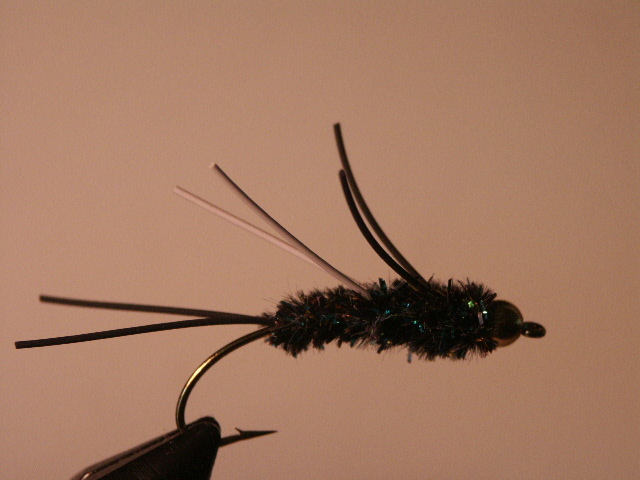 The Carpetbagger Stonefly Nymph done in Midnight Raibow chenille. This was the original hot color. 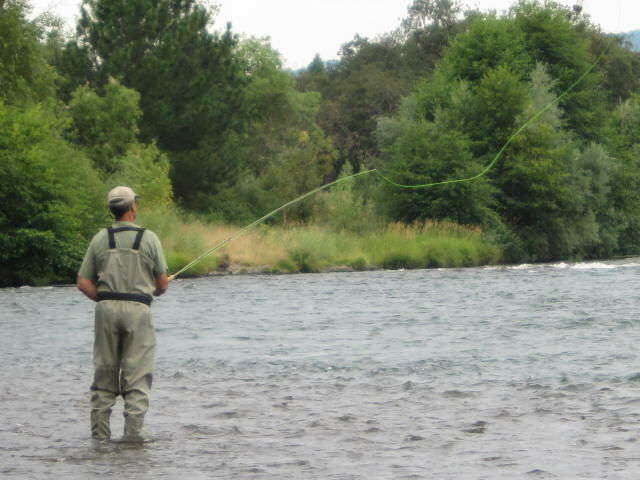 The orange egghead Brownbagger is the pattern to use now on the upper Rogue River. The full G.R. Hare’s Ear Nymph looks very buggy. 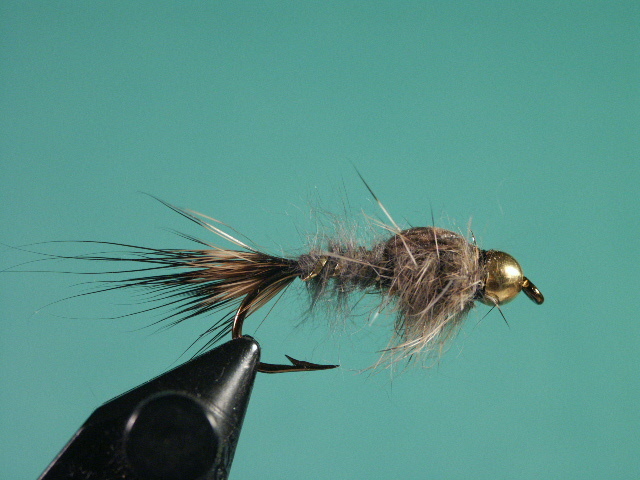 Size 4, 6, 8 strong nymph hook, $1.95, beadhead, all natural hare’s ear dub and Rogue Valley turkey feather. A nymph pattern generally called the Prince. I often fish this small nymph as the chaser fly in tadem with a Carpetbagger Stonefly Nymph. The steelhead like both, so why not present both at the same time? 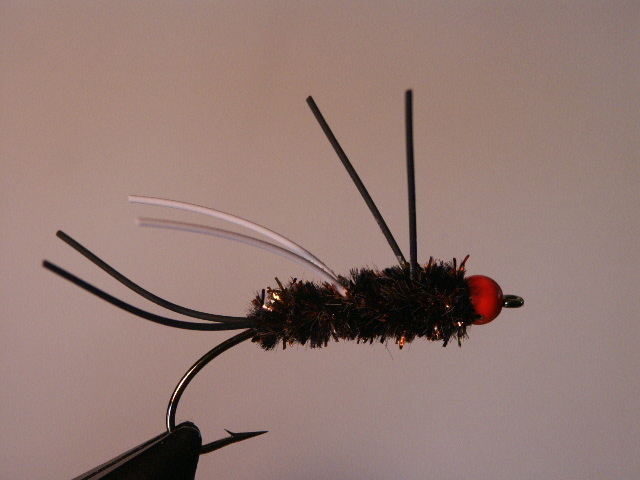 Size 8, 10, 12 1X Strong, Nymph Hook $1.95 Beadhead, double reinforced peacock herl body. Double secured white, biot wings. 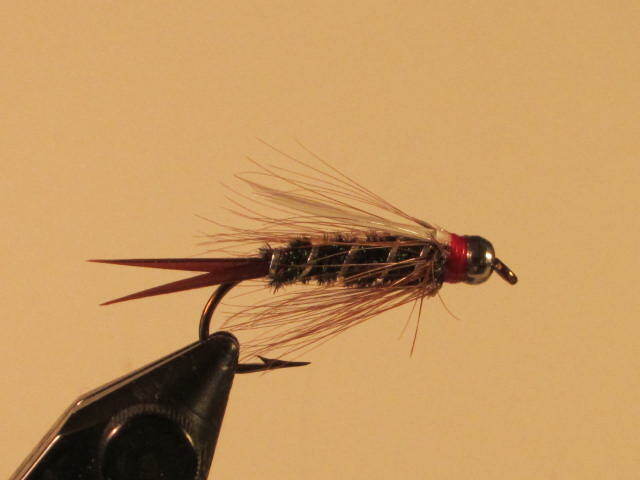 How would the carpetbagger flies work on the Deschutes? What is the best way to order your flies? Hope my note finds you well Neil. I’m Danny, I grew up during h.s. in trail and remember so often during October, that once I tie on a orange or yellow bucktail caddis and skate it across the top, the rod would just bend and hooking steelhead was a blast back then. I’m 56, and that was before or soon after the dam was built. I moved back to shady cove after being gone some 37 yrs. Was the water temp. in the upper rogue 43 degrees? back in the late 70’s or mid 80s? I called F&G but i don’t believe them.